The Spicy crate is not for the faint hearted. 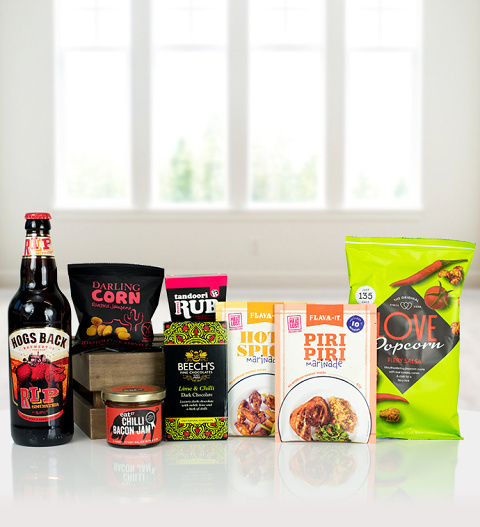 With Hogs Back RIP beer, Jalapeño corn, chilli bacon jam, this is one hot gift! The Spicy crate is available for UK next day delivery.